Be child-like, don't take life seriously or else you could go bonker, relax and dance. How can you encourage little girls to be LESBIANS????? 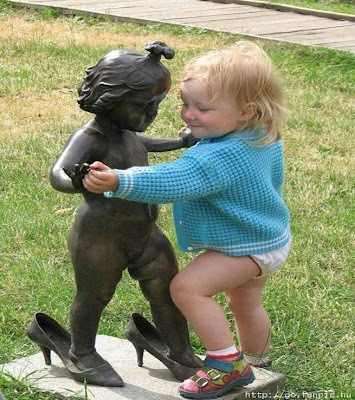 AND you have the cheek to put photo of girl dancing with statue of naked girl! Boh Tong : For your voting on the CCE's I think you forgot to add one more. NONE OF THE ABOVE !